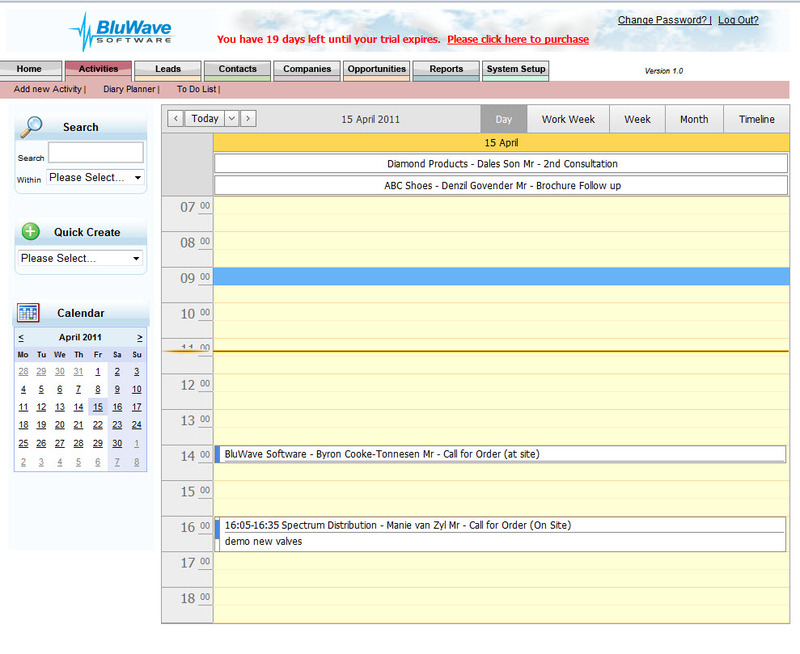 When an appointment is created in BluWave CRM, a corresponding appointment is created in your default emailing program. A meeting request is then generated and sent to the invitee, all in one streamlined process. 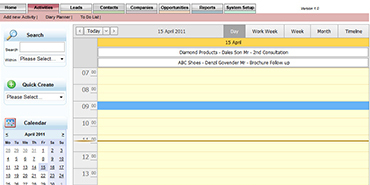 You can also schedule your customer and prospect follow-ups using the Activity Management function. The system manages daily, weekly and monthly views of each sales person's diary, so you can see what they look like with one simple glance. Want to know more about how you can streamline your customer relationship management? Contact us today to find out more about BluWave CRM.